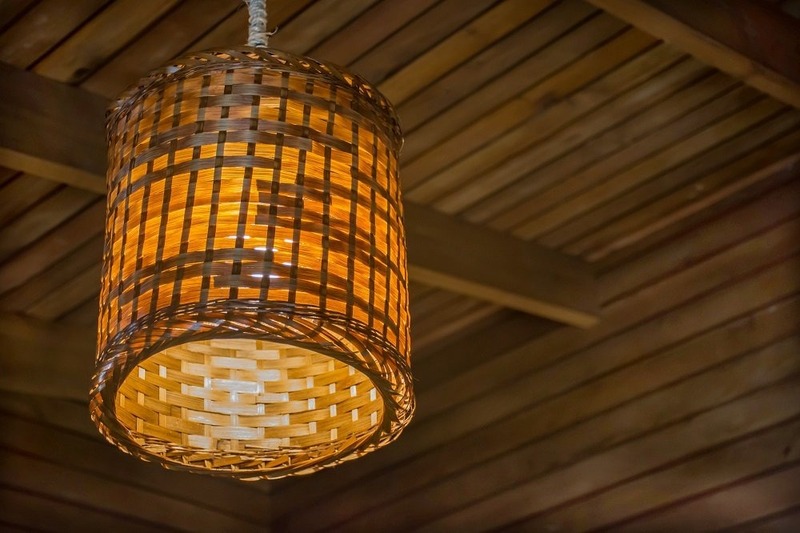 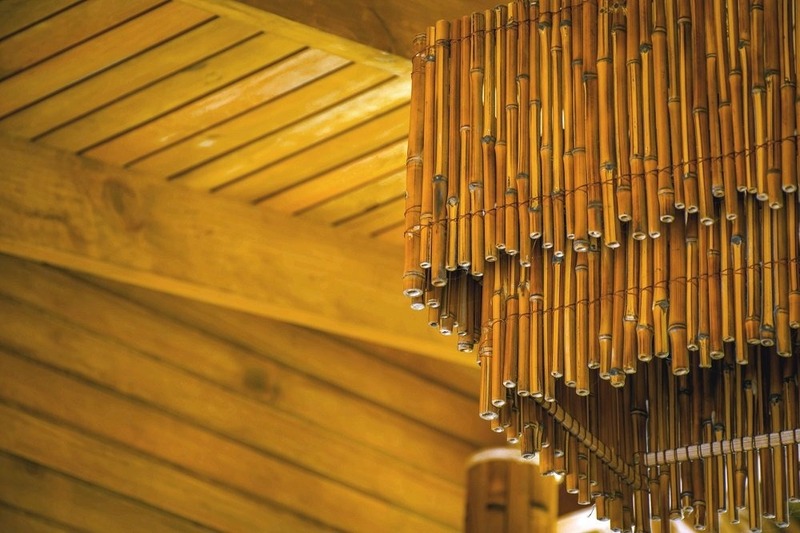 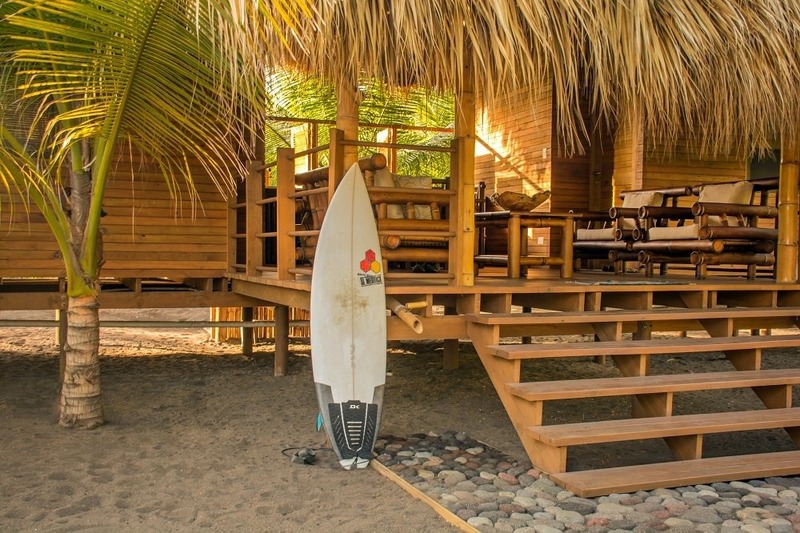 Pacific Pearls Lodge was built with only the best indigenous sourced woods, bamboo, products, resources and labor, bringing as much work and help to the local communities. 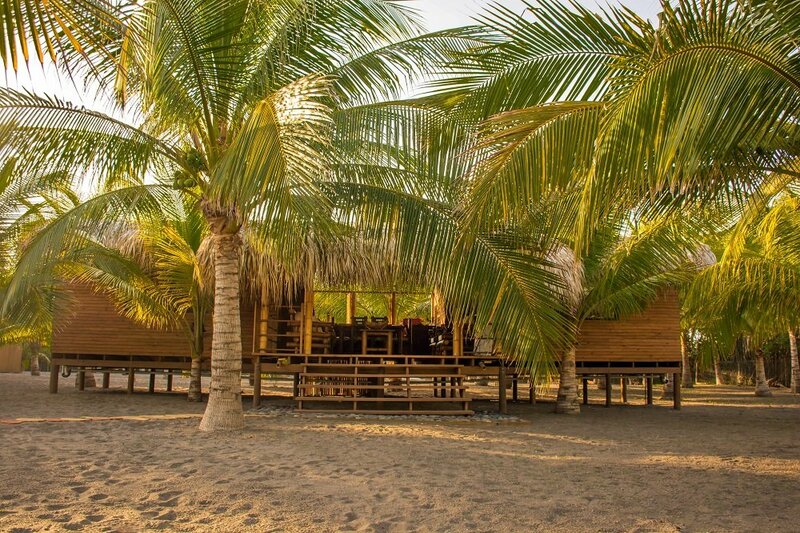 The resort is geared for NO environmental impact, including a treatment plant that will purify the water up to 90% before being used to irrigate the landscape (never entering the ocean), with compost waste being treated and used as fertilizer, and all solar power for a 100% 'off grid' experience. 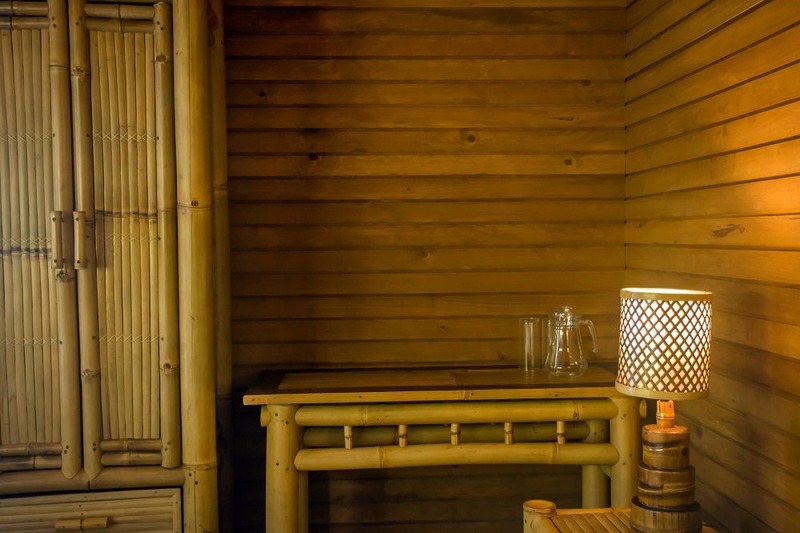 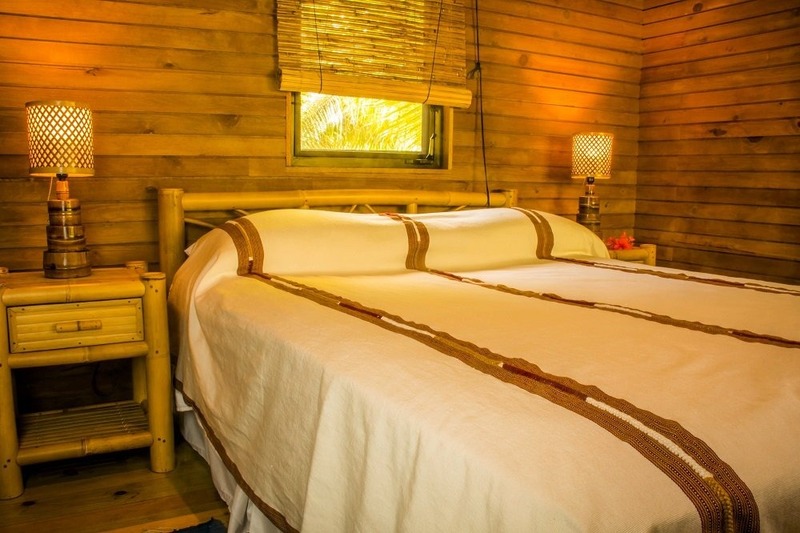 Currently the lodge offers two Plantation Suites, each with 2 bedrooms & 2 bathrooms, a shared dining and living area, tastefully built & decorated with locally sourced woods (all 100% Eco-farmed), bamboo and thatched roofs. 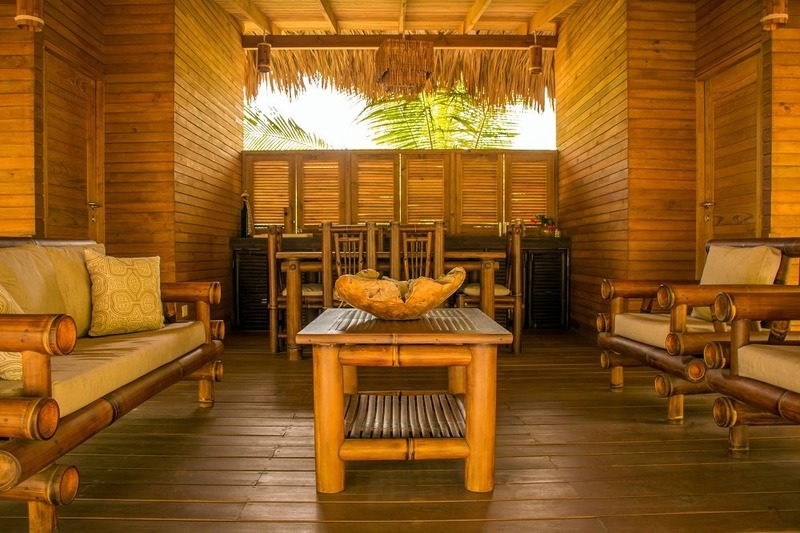 Each Plantation Suite is nestled amid beautiful coconut trees and lush vegetation, with views to the pool area. 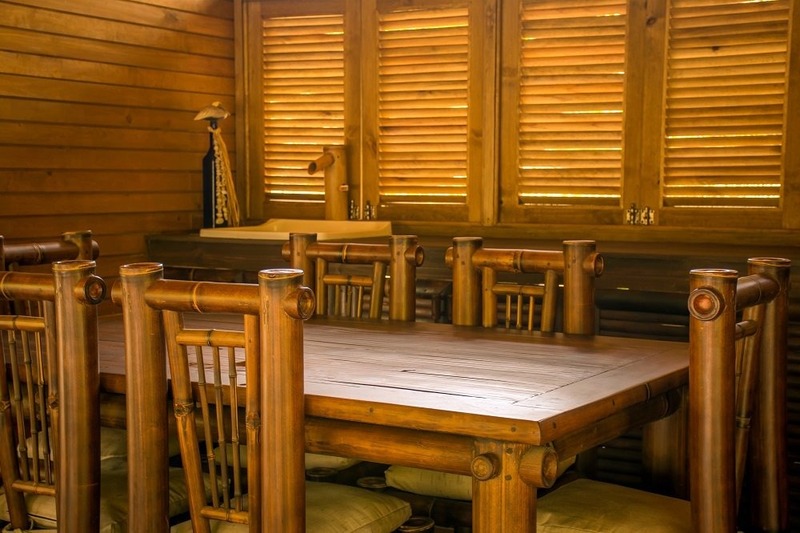 They also enjoy a private terrace, dining table and living room area, tastefully decorated and with hand made bamboo furniture. 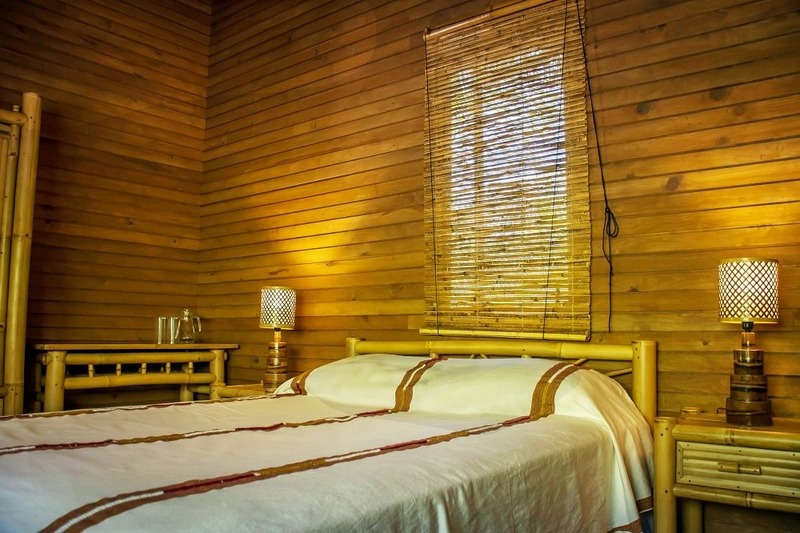 The spacious bedrooms invite you to relax in them, with high-pitched wooden ceilings, queen-size beds and elegant furniture. 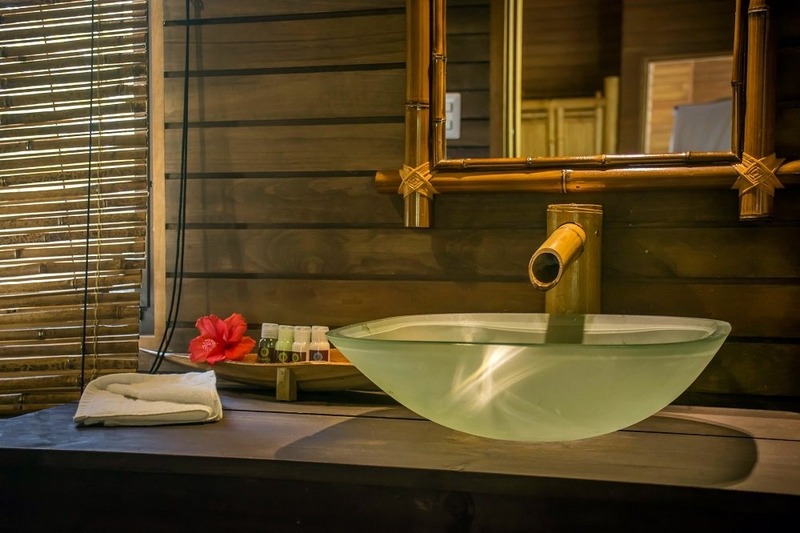 The charming bathrooms also include 100% natural artisan made shampoo, conditioner and soap for you to sample our locally produced and all natural beauty products. 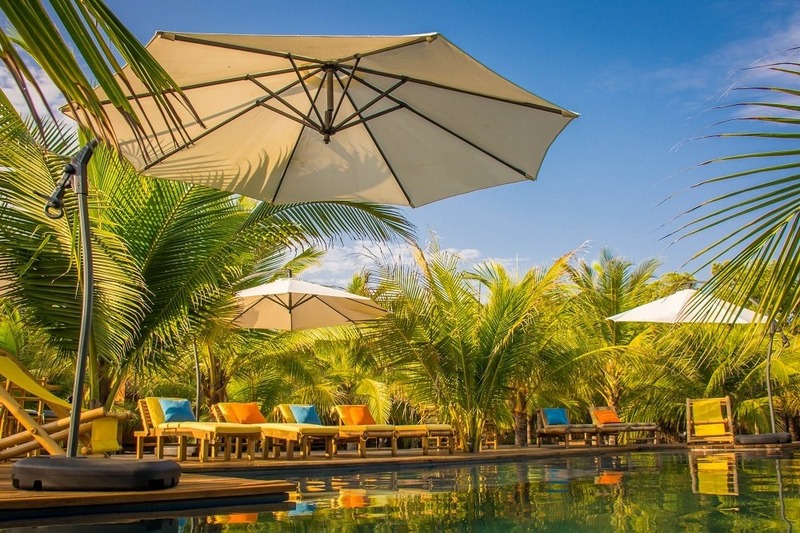 Enjoy swimming and relaxing in our large "Natural" infinity pool filled with lightly salted water sourced from a local well. 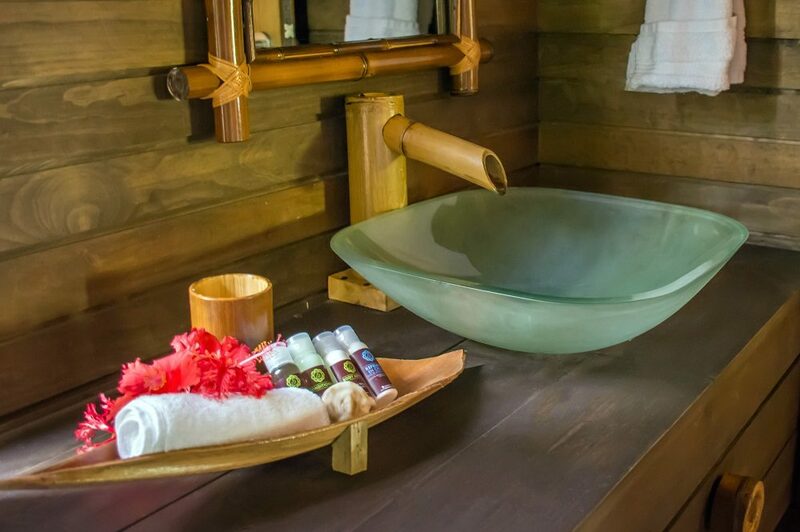 It is refilled every morning providing you always fresh, never chemically treated, water. 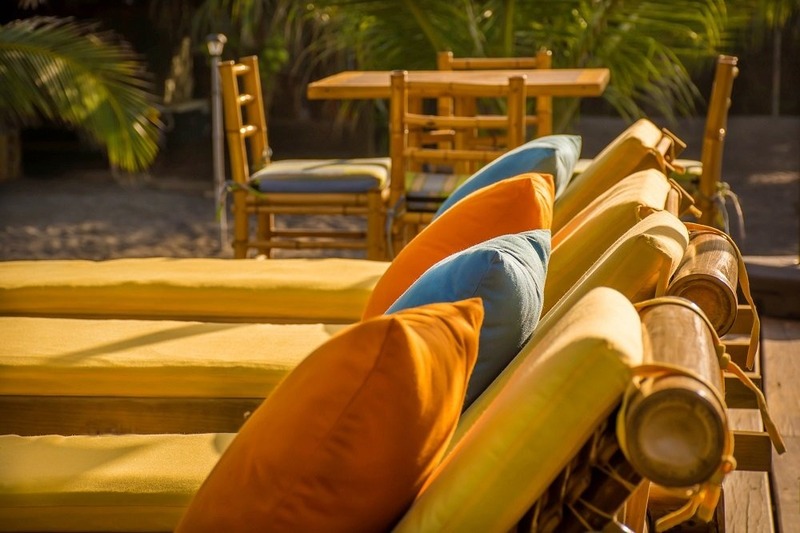 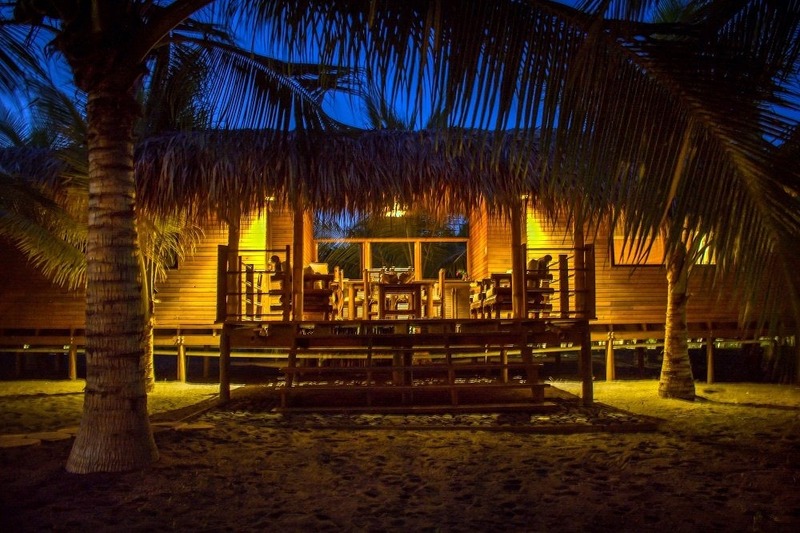 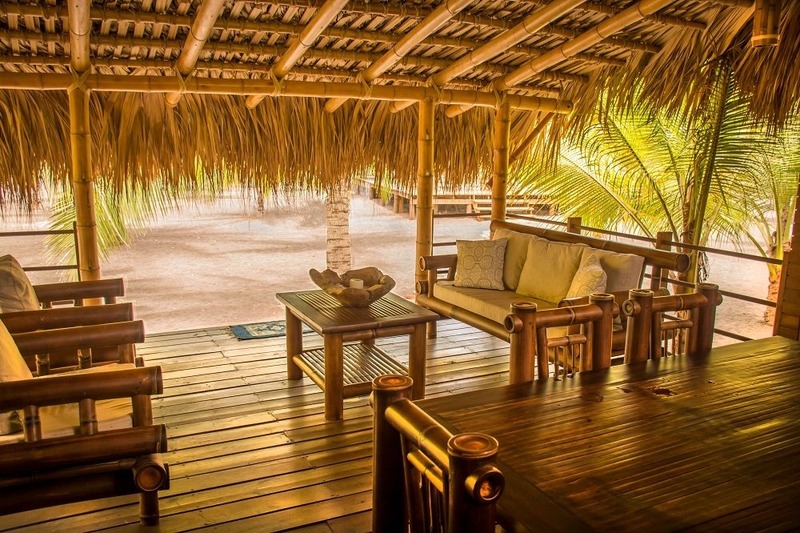 Pacific Pearls Lodge is guaranteed to always remain an "exclusive" sanctuary. 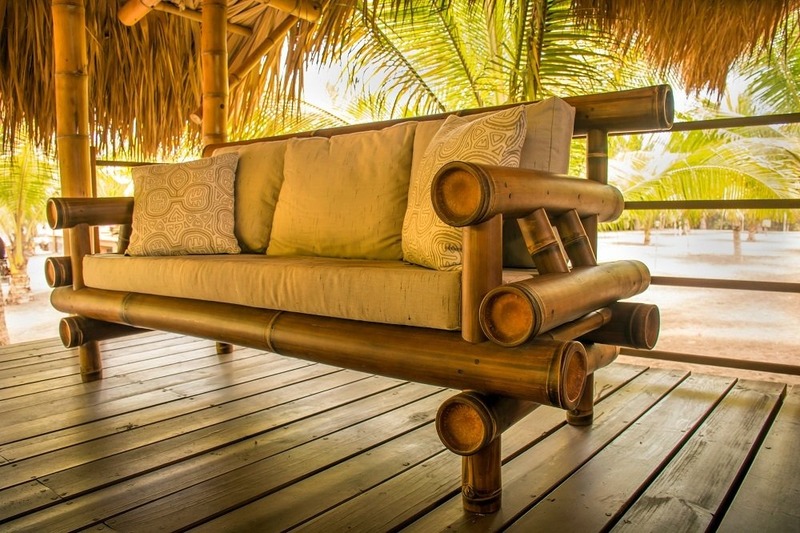 The harmony and peace guests will experience when feeling the warm ocean breeze, and listening to the swaying palm trees and birds, will be unlike any other.